The HVAC systems can be broadly divided into seven categories depending on its sizes and specifications. Well, you will find the components of this HVAC unit situated on both inside and outside of the building. It comprises of air conditioning unit, ducts, thermostat, and the evaporator coils. The optional components are like humidifiers, UV lamps, and the air cleaners. a) This will give you the best and effective cooling and heating. b) This can be easily installed. c) This can be operated in a hassle-free way. d) This can cool down and heat up your room very easily. If you want an alternative for energy-efficiency, then this can be an option. This system works the same as a gas furnace when fitted with a heat pump. It comprises of the heat pump, evaporator coils, refrigerant, and furnaces. This helps in controlling the entire system. a) Hybrid systems are important when you require enormous heating in the winter season. b) This system will warm up your room and not add much to your utility bills. This system will provide you good installations for the areas which are unable to accommodate the conventional systems with ducts. The components included in this duct-free system are an air conditioner, a heat pump, a control panel completed with the thermostat and wires, tubing, a fan coil which is compact. 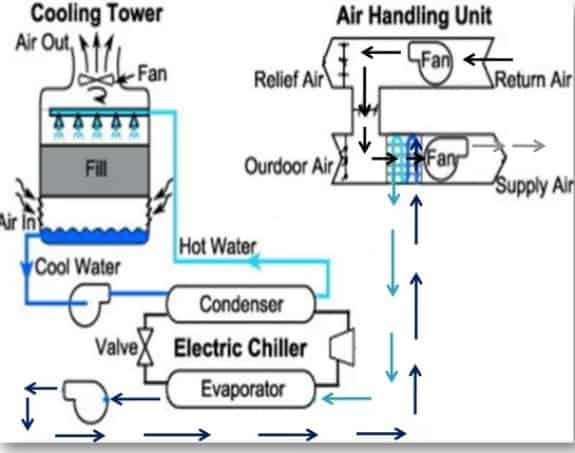 a) You will need this system for warming up and cooling down various areas of your home continuously. b) This will provide you with the utility rebates and tax credits for installing a duct-free system. c) This is a cost-saving system. The packaged system units are widely used in the confined spaces which include all the rooms throughout the house. It comprises of a heat pump/air conditioner with a fan coil/evaporator, and a control system supplied with a thermostat. a) Here you will get the heater and the air conditioner rolled into one. This will result in saving your money and space. b) This comes as a savior for the people who stay in an area that is prone to extreme climatic conditions. Just like the name suggests, this window ac system is installed in your windows. They can only cool down small areas and are unable to cool large areas or multiple rooms. a) The window ac can provide you with both heating and cooling. b) The optional damper which is present in the unit can provide fresh air when needed. The heat pumps are quite similar to the cooling only systems. There is a special valve present inside the refrigeration piping that helps and allows the refrigeration cycle to operate in a reverse manner. In the colder days, these heat pumps need defrosting. During this time, the only way of heating the interior is the electric heater. They are manufactured in either packaged or split system. a) The heat pumps help in cooling the indoor air and with the reversal of the valve, your room gets heated. Here in this system, the liquid water is pumped throughout the building. And as the liquid water needs to be at a cool temperature, a cool plant is also needed. This is called a chiller plant. The chilled water systems are sealed and do not require any chemical treatment for controlling contamination or erosion. a) They are helpful for the large commercial buildings and are very cost-effective. b) They work with the help of pumping the cool water throughout the building. c) They are non-corrosive and have specific heat value. d) They are also non-toxic and are priced low.